Have you ever turned to a time management book to nourish your soul? I haven’t, but that is what I found happening with this unexpected gem that tackled difficult questions like: “How can you trust in God when there is so much suffering” and “How should a Christian interpret failure when he believes he is doing God’s will”? Divine Time Management: The Joy of Trusting God’s Loving Plans for You by Elizabeth Grace Saunders (Faith Words, November 7) is a therapeutic experience and written in a tone and language that would be most familiar to committed Christians. 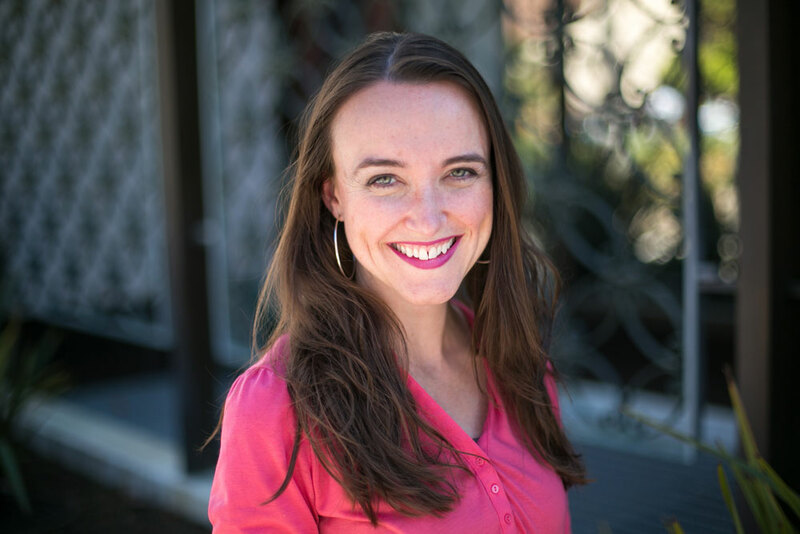 Elizabeth Grace Saunders, author of "Divine Time Management: The Joy of Trusting God’s Loving Plans for You". “It was such a humbling book to write and the biggest lesson I learned is how much I had to grow,” says Saunders, who wrote two time management books without any faith element before this one, to ChristianWeek. “The experience of writing Divine Time Management was entirely different than the experience of writing my first two books. In my first book The 3 Secrets to Effective Time Investment and my second book How to Invest Your Time Like Money, I was the expert. I was the – I know this sounds kinda bad – but the know-it-all. ‘I know what I’m talking about and this is how you can improve yourself.’ It was very much about helping Type B people to be Type A. 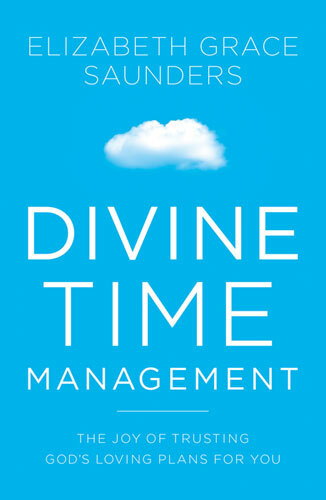 Going in I had expected Divine Time Management to be a cerebral experience, but like the author, many Type A readers will feel convicted about the real and often ungodly reasons why we work hard. “Instead of receiving God’s unconditional love, you turn life into a performance,” Saunders writes in one piercing line in the book. Yes. This is not your typical time management book. “Focusing on trusting God with all of our time and time management decisions opens up space for prayer and for rest. When we genuinely seek His will, God typically asks us to do less than we think we need to do and rely on Him more,” the founder of Real Life E Time Coaching and Speaking writes. One of the three key goals of divine time management is trust in God at the center (the other two are: love for your true identity and alignment with God). Saunders – who has been featured in Forbes, Harvard Business Review, Huffington Post, Fast Company, NBC, and more – says that if nothing else, she hopes readers of her book will trust in God more than their own abilities to manage their time, which will lead to God’s best for them. But that is easier said than done. How can someone that has experienced great tragedy, disappointment or injustice overcome that hurt to trust in God? Saunders points to the Bible. Abraham waited 25 years – until he was 100 years old – for the fulfillment of God’s promise in the birth of Isaac. And King David endured 15 years of hardship from when he was anointed king to when he actually became king. She further expanded on the topic in the interview with ChristianWeek by prefacing that there is no “text message” answer to this question. But what if a Christian trusted in God and still faced failure in his ministry. How should he interpret this failure? Saunders pointed to the third section of her book: Alignment with God. “We have to understand that God doesn’t view success in the same way this world views success,” Saunders says. “Just in this one verse we see that the way God defines success can be very different than in the world where you should get as much money as possible,” Saunders explains. She also noted that when we look at God’s commandments and what He views as most important, it is to love God with all our heart, soul, strength and mind. And the second is the love your neighbor as yourself. “It doesn’t mean that you failed in God’s eyes if your focus was loving God with all your heart, soul, mind and strength and loving your neighbor as yourself,” says the young author. She shared that in her own life she was laid off from her dream job early in her career, which the world would perceive as a failure. But God used that initially bad event to change Saunders attitude that working for a big company is what provided security to believing that security was being in Christ and following His will. For more information about Divine Management, visit here.